Sometimes the perfect quilting design and a beautiful quilt top come together in a magical way – bliss to a Longarmer’s heart. 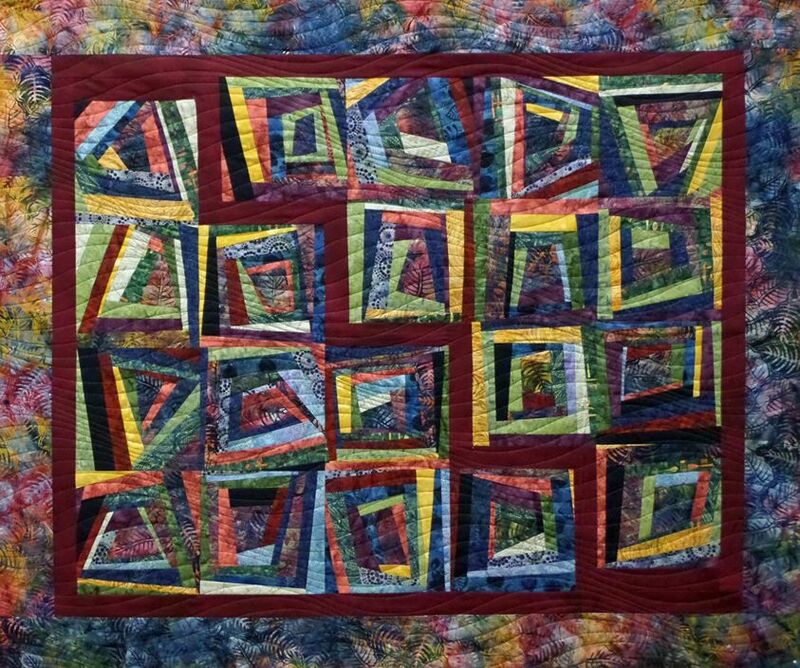 While this quilt hung on the wall at The Pine Needle, when I presented it to Miriam, everyone in the shop came to admire it. 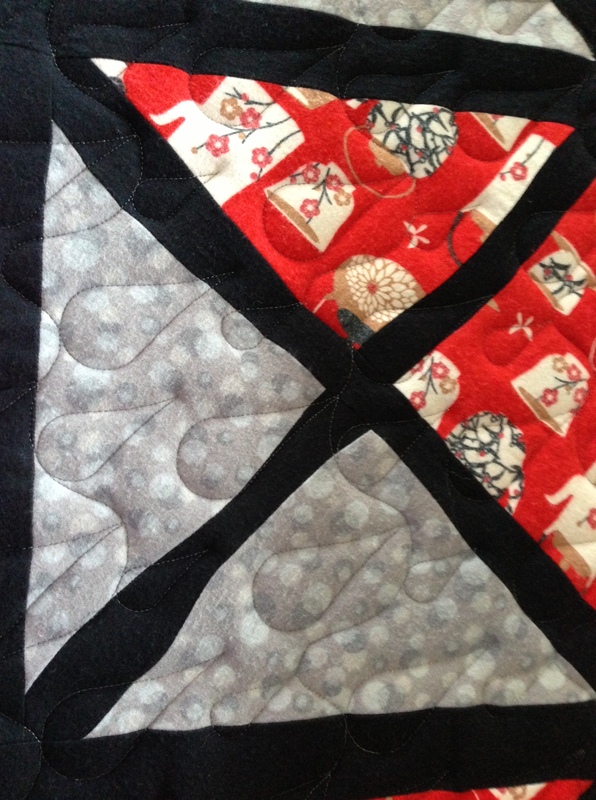 It occurred to me that I was probably the only person in the group drooling over the quilt design – everyone else was drooling over the lovely fabrics and the great piecing that Miriam had accomplished! 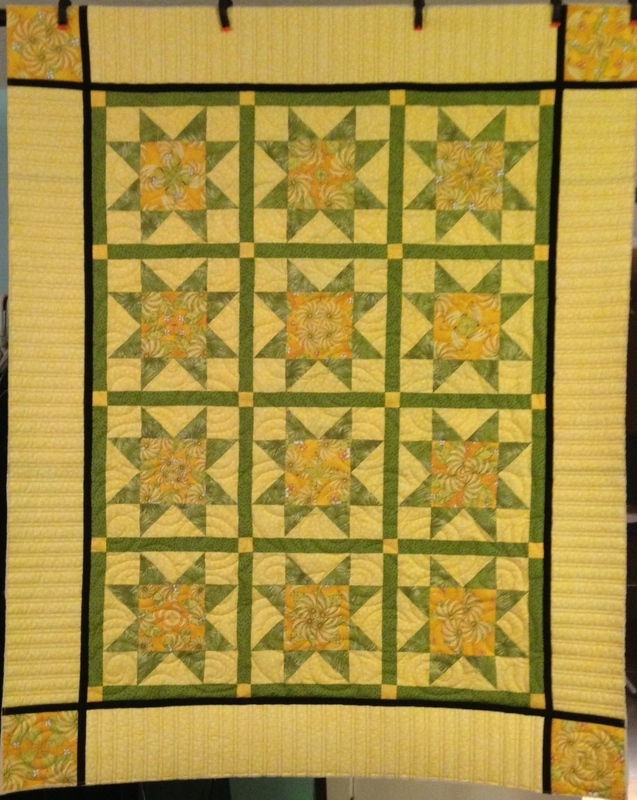 It was my joy to quilt this top for Miriam.